Posted on April 5th, 2018. Filed under: General News, Room One Articles, Room One News, Room Two Articles, Room Two News. 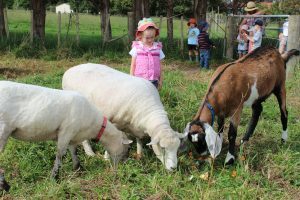 At Building Blocks we are very lucky to have access to a large outdoor farmyard, where we learn and explore on the land and care for and respect our animals. This is a large part of our learning programme. Currently Building Blocks is home for 2 sheep (Fern and Lola), 1 goat (Dave), and 8 chickens. We have had Fern since she was a baby, and she joined us back in July 2016. 6 of our chickens joined us back in November, after we had an incubator in Room One, cared for the eggs for 21 days, and watched them hatch. We have nurtured them and watched them grow into full grown chicks, and they are due to start laying in the coming month! 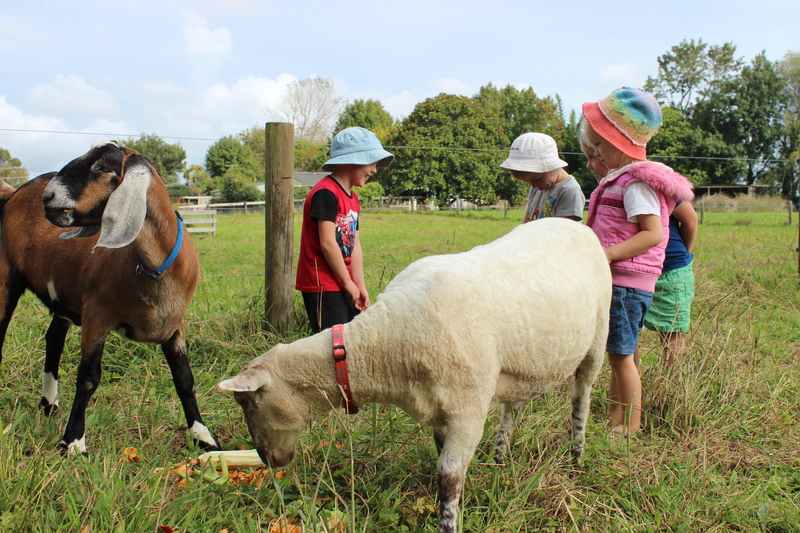 Each afternoon we take the children to the farm to feed the sheep, goat and chickens our food scraps from the day and collect any eggs the chickens may have laid. 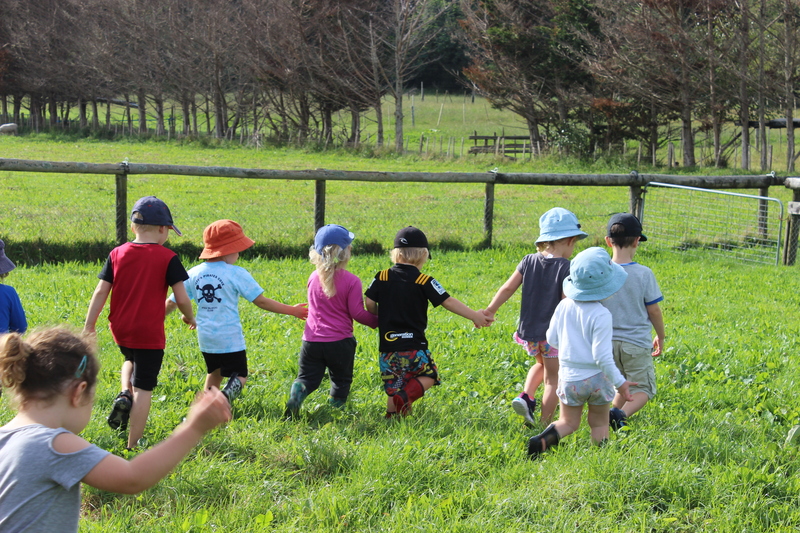 And on every Wednesday, we have “Farm Day,” where a larger group of children and 1-2 teachers head to the back paddocks and orchard for an adventure. The children get to roam around, play tag games, and interact with our furry, wooly and feathered friends. Before each visit, we gather the children that will be attending and remind them of some of our ground rules. These include remaining calm, using gentle voices and hands, and walking feet around the animals. We are entering their home, and we need them to feel safe around us. When the animals feel safe, they will approach us and want to be handled. 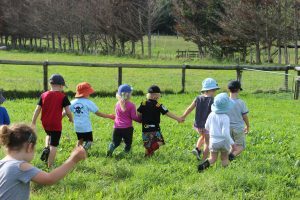 The children are also reminded to stay within the same paddock as the teachers, to climb only on the designated fences around the trees, and to look out for their friends. These boundaries are always respected by the children, because they love the opportunities of exploring the farm. that self-care is important too when looking after animals. We must always wear close-toed shoes and wash our hands after every visit! Caring for animals also teaches compassion and empathy. When children take the time to be consciously gentle with animals and experience the benefits, this translates into their day-to-day interactions with their peers, teachers and family. 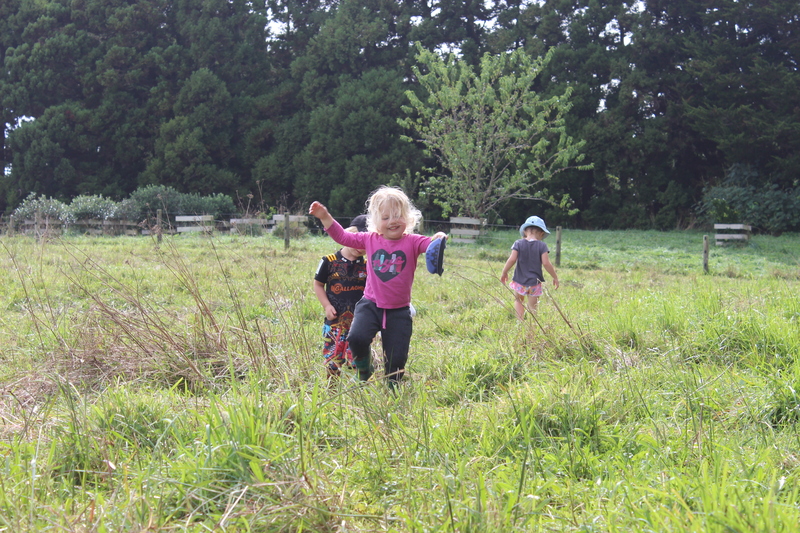 And having the wider space of the farm to explore provides the children with a sense of adventure, creativity and freedom.